Gumkhal is a small village turned town. It is situated on the peak of a mountain and most of the time its windy and chilly here. 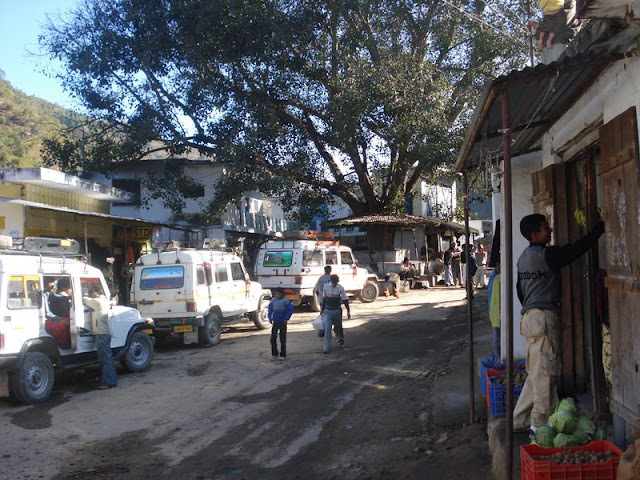 You will pass through Gumkhal if you are going to Pauri from Kotdwara or visa verse. Roads from three places converge at Gumkhal, one from Satpuli, one from Kotdwara and one from Dwarikhal. There is also a branch of Uttarakhand Gramin Bank here. The view of the hills from this place is just awesome. On both the sides you will see green hills and hundreds of villages which look like white spots on the hills in the day time. Gumkhal is normally cool place. It may become hotter in the day time of summer but in the nights it is still very chilly. You may not find proper accomodation to spend night here. The help of localities can be seeked. 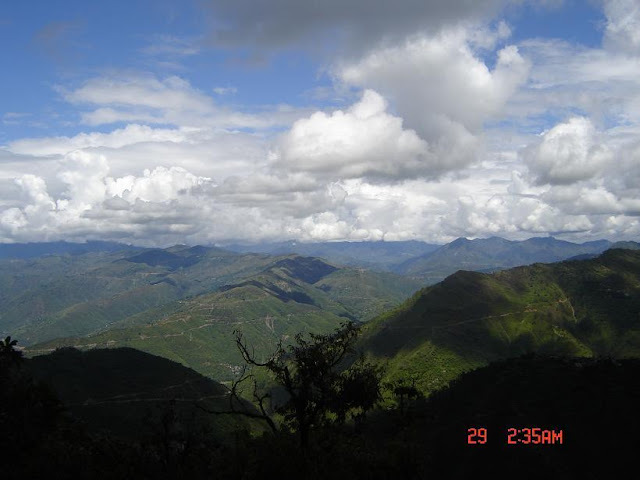 But yes you can plenty of options for accommodation in Lansdowne or Jehrikhal which is not very far from Gumkhal. A common fruit sold here is "Kaful or kafal". 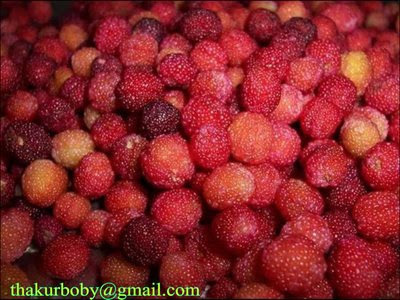 A red coloured tiny fruit that tastes sweet and sour but very yummy particularly with balack salt.